Ponderings from Pluto | News that’s so far out there, it just might be true. His real first name is Shelton, but “Spike” Lee had previously sued Spike TV out of a concern people would think he was connected with the network. Approximately 16 years after settling a lawsuit against Spike TV, New York based filmmaker Spike Lee is considering a new lawsuit against Paramount Television. This past week, Spike TV announced it was changing its name to Paramount Television as market preferences and demands increased. Lee’s directorial credits include She’s Gotta Have It, Do The Right Thing, Crooklyn, He Got Game and Malcolm X. Previously, Lee had sued Spike TV, out of a belief people would think he and his movies was associated with the network. However, what remains a mystery is that Lee has apparently never trademarked the name “Spike,” nor did he invite other “Spikes” (former Major League Baseball shortstop Spike Owen, fellow director Spike Jonze, or George Gallagher (who draws the cartoon “Heathcliff,” of whom the bulldog Spike is a character) to join him in the lawsuit. Officials at Paramount Television could not be reached for comment. Saying they refuse to be silenced any longer, People for the Ethical Treatment of Plants is planning a Fourth of July march on Washington, D.C.
People for the Ethical Treatment of Plants, or PETP, wants to promote its message that slaughtering plants for the purpose of eating them is selfish, cruel and murder. “Plants have feelings also, and someday we expect agriculturalists and horticulturalists to finally discover this,” said Jake Rivers, who heads the organization. Rivers is organizing the march on Washington to protest against consumption of onions, radishes, carrots, potatoes and any other fruits or vegetables where the plant must be pulled from the ground. All members of PETP are already vegans, meaning they consume no animal products. Rivers admits that swearing off many plant products (he refuses to eat any wheat products, since the plant must be pulled up from the ground) leaves very few food choices. He lives mostly on dietary supplements and fruit juices. Saying they have decided to shed an archaic name and move forward into the future, the Chicago White Sox announced they have successfully petitioned Major League Baseball for a name change. Effective in the 2014 MLB season, the Chicago White Sox will drop the “White” and will become known as the Chicago Sox. The current Chicago White Sox logo. As you can tell, it has very little “white” in it. Players today generally wear their pants down to their shoes with no socks showing. 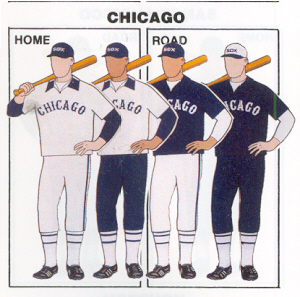 The White Sox’ uniform is designed where the socks underneath are black. The White Sox’ current team colors are black, silver and white. In the past they have worn different shades of blue along with red. Their current logo, which adorns their caps and their home jerseys, is the word Sox in diagonal Old English script. They last wore white socks back in the 1970s when they wore throwback uniforms designed to emulate late 19th century/early 20th century baseball. This was the White Sox logo back in the days of Eddie Cicotte and “Shoeless” Joe Jackson. The team has long had the “Sox” logo in various forms. In 1919, for example, it was the letter S with an “O” on the top loop and an “X” in the bottom loop. Back in the 1970s and early 1980s, it was the a horizontal SOX log on their cap and then on their jerseys. Most Chicago White Sox fans say that as long as they defeat north side rival Chicago Cubs, they will be happy with the name change. Due to a shocking new rule defining what is and what isn’t a planet, the International Astronomical Union voted overwhelmingly to strip Jupiter, Saturn, Uranus and Neptune of their planetary statuses. Mercury, Venus, Earth and Mars would qualify since all have solid surfaces where spacecraft can land and where people could walk (they, of course, would need space suits to walk on the planets outside of earth). Jupiter, Saturn, Uranus and Neptune, however, do not qualify. Underneath their thick cloud covers, both Jupiter and Saturn are believed to be oceans of liquid hydrogen, atop another ocean of metallic liquid hydrogen and then a rocky core. And under the cloudy covers of both Uranus and Neptune are believed to be first an ocean of liquid hydrogen and liquid helium and then, second, an ocean of water and ammonia and, third, a rocky core. Instead, the IAU suggests the four be called “gas-oids” to distinguish them from true planets. Another note is that since both Jupiter and Neptune “share” their orbit around the sun with “Trojan Asteroids”, technically they do not clear their own paths and, therefore, each is no more a planet that Pluto is. The Trojan Asteroids are the thick pink splotches in Jupiter’s orbit and are the light-blue cluster in Neptune’s orbit, center left on the image. Nobody on Jupiter, Saturn, Uranus or Neptune could be reached for comment. Extraterrestrial aliens tell astronomers: QUIT looking for us! You might remember how, in 1977, both Voyager space probes launched from earth contained the above gold-covered copper plates. The plates contained greetings in various earth languages and served as some sort of time capsule. Assuming someone finds it in the distant future (that likelihood is comparable to Justin Bieber relaunching his career as a rock-and-roll frontman whose career eventually results in enshrinement in the Rock and Roll Hall of Fame), those who find it will learn about earth culture and where earth is in the galaxy. Ostensibly, the records were sent out in an effort to find extraterrestrial life. And now, they appear to have hit paydirt. Astronomers recently received a message from an extraterrestrial civilization that is based out of the Andromeda Galaxy. (That galaxy is about 2.5 million light years away, far beyond the reaches of where the Voyagers currently are, but the aliens have declined to say how they still found the Voyager probes). “People from earth: do not bother responding to this message. This will be a one-time message. Any further response from you will be neither acknowledged nor answered. “Yes, yes, yes, there is extraterrestrial life in the universe. LOTS of it. Earth is but an uncivilized civilization in comparison. We are well-read, civilized intellectuals while you are all slimy, amoebas. “For a while we have listened to your transmissions, and what we have seen and heard has convinced us it is not in our best interests to interact with you. “Your famous musician, Frank Zappa, once said in an intercepted interview that stupidity, NOT hydrogen, is the most abundant substance in the universe. This is absolutely true of earth and is indicative of why we wish no contact with you. We view your stupidity as a virus that would only contaminate us. “Still, in honor of Zappa’s astute analysis, we are planning on naming a soon-to-be-formed galaxy in his honor and memory. The stars in that galaxy will bear the names of his children and his songs and the planets will bear the names of his lyrics. “So, again, leave us alone and QUIT trying to find us. The FBI has arrested actor/director/producer Henry Winkler, best known for his role as leather jacketed-rebel Arthur “Fonzie” Fonzarelli on the popular Seventies sitcom Happy Days on charges he defrauded investors of up to $150 million in a Ponzie Scheme. 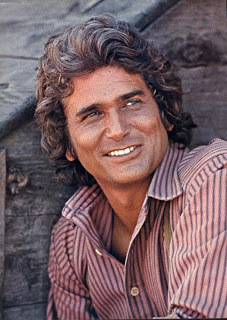 However, due to the name of Winkler’s most famous character, those who invested in Winkler and lost their life savings are angrily and contemptuously referring to it as a “Fonzie Scheme”. Jameson said she was a big fan of the “Fonzie” character on TV but laments her carelessness in investing in Winkler’s plan to triple her life savings. She said seeing him recently on TV in commercials for reverse mortgages had given her the peace of mind to believe her money would be safe. According to the FBI, Winkler has actually had financial problems since the turn of the millennium and had been turning in desperation to Fonzie Schemes to make himself look financially solvent. One FBI report says that things got so bad for Winkler that he had to sell his office and had been using his private bathroom at home as a makeshift office. If found guilty of the charges, Winkler faces 84 years in prison, full restitution and a $500,000 fine.